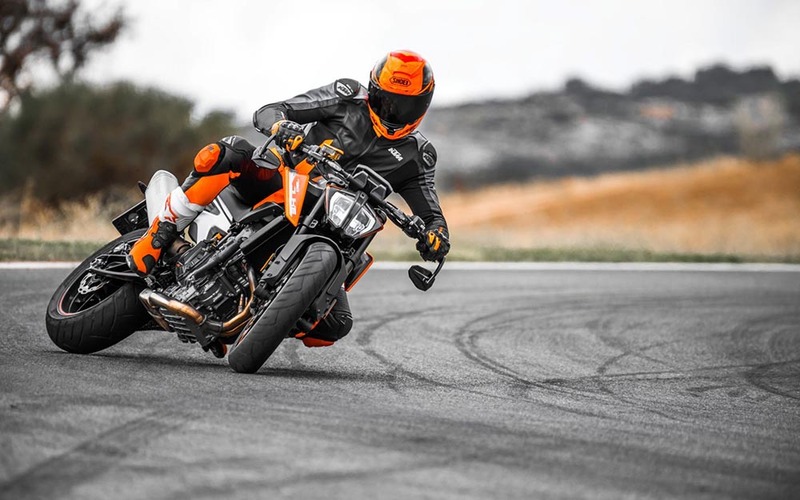 KTM 790 Duke is our sharpest tool in the shed, developed with one task in mind: to dominate the street. A true rider knows that here, power needs precision. Feedback. Poise. That’s why KTM combined a light, state-of-the-art chassis with the new LC8c engine. The result: plenty of torque on tap, a 105 horsepower rush blasting out of corners and a huge grin on your face. But that’s not the end of it. Imagine an up and down quickshifter that takes its name extremely seriously. Customized ride modes. Personalized traction control. And a lean, mean KISKA design that’ll make you learn to love waiting for the others as you raced ahead.